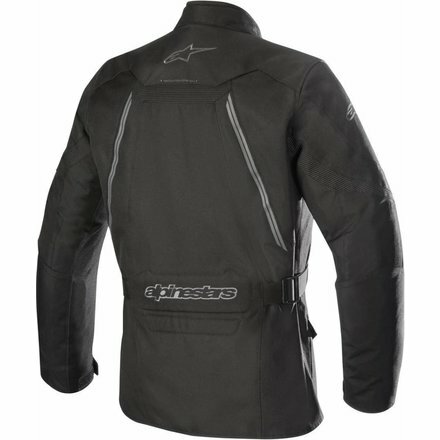 All weather jas van Alpinestars. Advanced multi-panel, multi material construction featuring PU-coated poly-fabric main shell and 600 denier dobby reinforcement for optimized levels of durability and abrasion resistance. 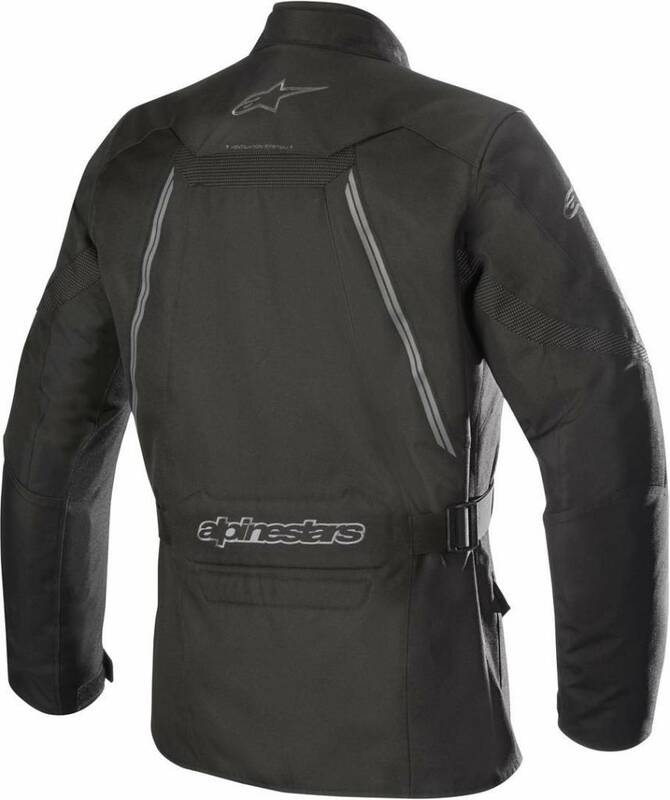 Alpinestars waterproof and breathable DRYSTAR® full fixed liner with taped seams to ensure long term water-repelling performance. Removable thermal lining (80g) means jacket can be worn in a variety of climatic conditions, adding to its overall versatility. Hook and loop grip waist adjustment belt for highly customizable fit, plus hook and loop grip closure cuff and collar closures. Optimized for use with Alpinestars textile pants offering a secure fit via an internal waist connection zipper. 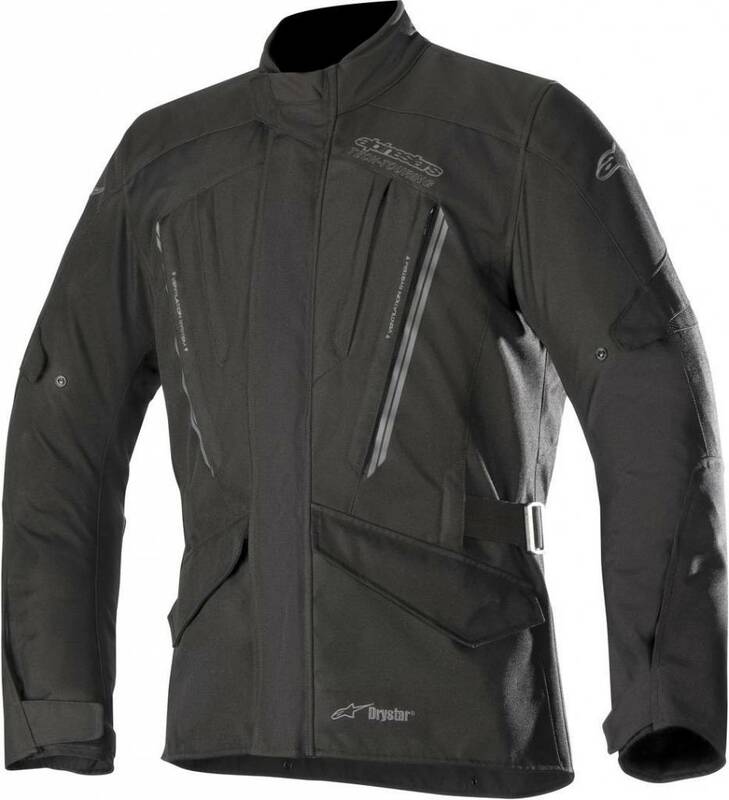 Pre-contoured sleeves for improved riding performance, plus volume adjustment to ensure close fit. External front pockets for convenient storage, including two waterproof pockets and two large pockets. 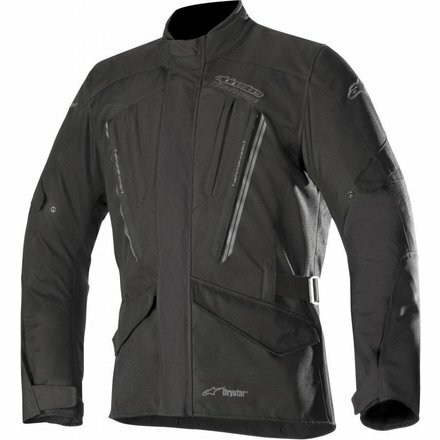 Internal pockets are waterproof and zippered for peace-of-mind closure. Integrated foam padding on back for fit and comfort. Back ventilation exhaust is overlapped with membrane to help prevent water penetration.